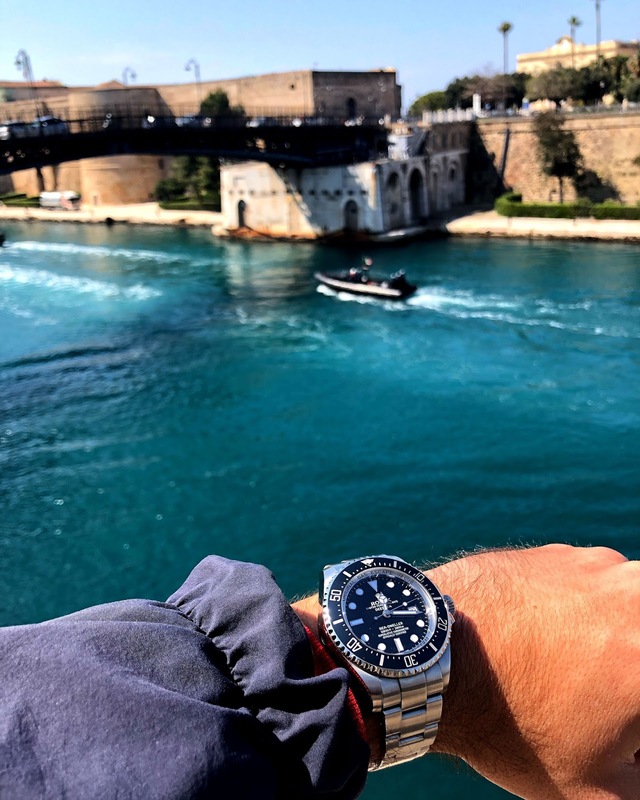 Vittorio from Taranto, Puglia, Italy sent in some really cool SEA-DWELLER photos with an announcement that he is creating a community for Rolex HEV enthusiasts. HEV refers to the Helium Escape Valve on every Rolex SEA-DWELLER. 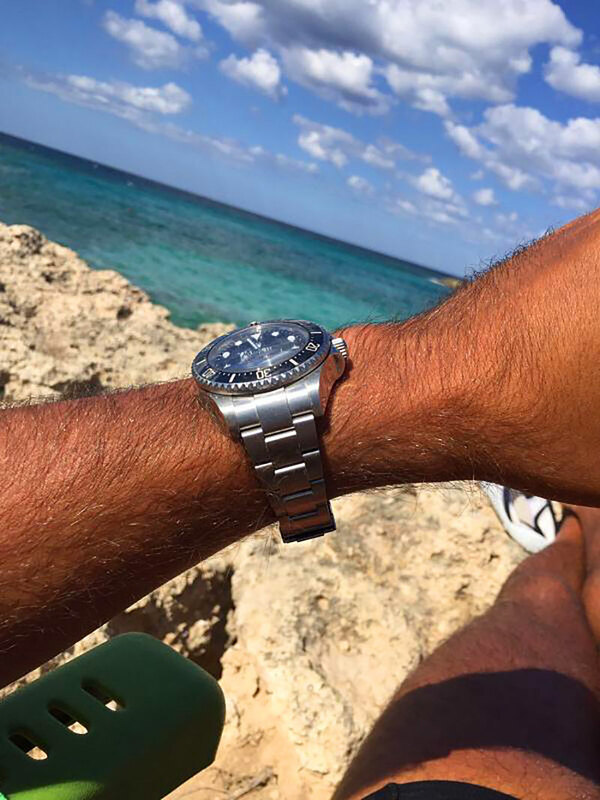 In the superb wrist shot seen below, we see Vittorio's Rolex DEEP-SEA. Hi Jake! Hope you’re fine! ‘BDV - Banda Della Valvola’ (The Band of the Valve). I’ve created an Instagram page, and a Facebook page. The community for Rolex HEV enthusiasts! It’s only about passion and history of Rolex Sea Dwellers, not for speculations or everything money-related. In the future... we’re planning (we’d like to sooo much!) some ‘Band reunion’ in some Italian Navy saturation diving unit (Nave Anteo) or at the Submersible General Command, COM.FLOT.SOM, located in Taranto. I Send you some pic of my beloved Sea-Dweller Deepsea in my beautiful Town, Taranto, Puglia, Italy.